I wish to thank all the friends, well wishers who have send their greetings and messages on my birthday today. In fact, these messages started coming from yesterday and they continue to pour in. I am grateful to each one of you. I did not celebrate anything as I have been feeling suffocated with the growing situation. It was more painful when you hear things. I was out of city and came today only. It was Eid and I do celebrate it with friends but how do you celebrate anything with so much hatred. Why is this hatred and contempt getting approval from people. It need to be properly examined. I am worried about many friends who do write, who do participate and have actively stood against the communal hate propaganda. I know these things hurt those who are sensitive. I am a sensitive person and try my best to keep calm but many time things goes out of your control. I have never felt so much down as I felt today, a day when I would have been greetings friends on the joyous occasion of Eid. This was for the first time in my life that I was not enthused on my birthday. Though, most of the time, I have enjoyed celebrating it with our friends on the ground working for the betterment of the communities. I felt proud that two great icons of our time Chhatrpati Shahuji Maharaj was born on this day and just one day before the icon of social justice in independent India, Vishwanath Pratap Singh. The other memory of my birthday was the famous world cup win of India in 1983. But all these years I had to be present in campaign and programmes against Emergency that Prime Minister Indira Gandhi imposed on India suspending our civil liberties and political mobilization. I never felt bad with that but this year was different. It was Eid today and definitely the mood should have been much better to enjoy the same but I want to share my feeling that it was a day when I was not very comfortable. 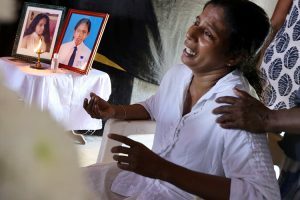 With so much violence, killings of innocent and goons roaming around masquerading as political activist lynching anyone who differ with them in religious and caste identity and the state apparatus virtually looking down upon these things as ‘over reported’ and ‘over hyped’, there was nothing to celebrate. It is disturbing to see the conspicuous silence of the ‘most powerful man’ of India who speak to every one, express his ‘feelings’, use twitter to condemn all kinds of attack world over by the Islamic Jehadis but find no time, no word of pain when those subscribe to the ideology hatred lynch innocent persons in the street, in the train, at the railway stations. When hundreds of Dalits are forced to leave villages in different parts of the country under the new strategy of the caste Hindus through social economic boycott, not a single leader or minister speak out against it. When a Muslim is lynched under suspicion carrying beef or eating it, the leaders justify it. The days are not great as political parties have failed. This will happen when opportunist will come into politics because of their muscle and money power. Common Indian wont be able to even contest an election of village Sarpanch. Money is flowing for spreading the hatred and that does not even become a prime time discussion. Paid rabble rousers in TV studios are making lives further miserable. We all need to introspect. At least to join hand and share our ideas, go to protests wherever possible. We need to occupy cultural space. Even when we had loads of differences based on caste, religion, region, gender etc, we had more point of common struggle. We have shared heritage to fight our battle together. It is time to bring that together. Kabir, Raidas, Nanak, to Ambedkar, Phule, Periyar, Nehru to Maulana Azad, to Faiz Ahmed Faiz, Manto, Kaifi Azmi, Sahir, Shailendra, to Mohammad Rafi to Mukesh, it is time, we time, we claim them, we bring them back to people to protect our syncratic cultural values which are under assault by the thugs who have no history, no track record of fight against the colonial masters, who apologised and came out. Today, Muslims in India are being blamed for all its evil. It is another matter to debate as why people converted to Islam. Even the upper caste converted but to gain favors. Dalit converted to get liberation. We are being told that caste system came into Hinduism because of Muslims and Christians i.e. Muslim rule and Christian Rule. My question is let us forget about this as who brought it. Let them give us details as how much, when and where have the Hindutva people, their fraternity of Sangh Parivar launched a battle against caste system and untouchability since 1925. In fact most of their ‘founders’ justified the ‘great religion’ and values. Anyway, today, we must fight to protect the idea of India which our constitutional forefathers provided us. They were people of great reasoning and understood how difficult was it to keep the nation together but then those who never fought any war today are feeling that war is the solution for everything. Actually, they dont want to fight war against poverty, illiteracy, untouchability, caste system and other evils. By war they feel that they will weed out the ‘different’ people who are actually Muslims today. But it is not merely Muslims, they and their chelas want to do away with ‘reservation’ for the Dalits and OBCs. We have to understand that the chaos is being created deliberately to sale all the assets of India. Our railway stations are being sold, our natural resources are being sold. Air India will be sold but in the chaos, all of this will be forgotten. Banks are on the verge of collapse as their NPS will never be recovered. Who are those defaulted the Banks. The friends of the power elite. Vijay Malya is a small fry in the huge corrupt business elite but just targeting him is a planted way to protect others and make the country belief that things are going in right direction. Is not it a concern today that innocent people are being killed just because they dont follow a certain kind of ideology or religion. 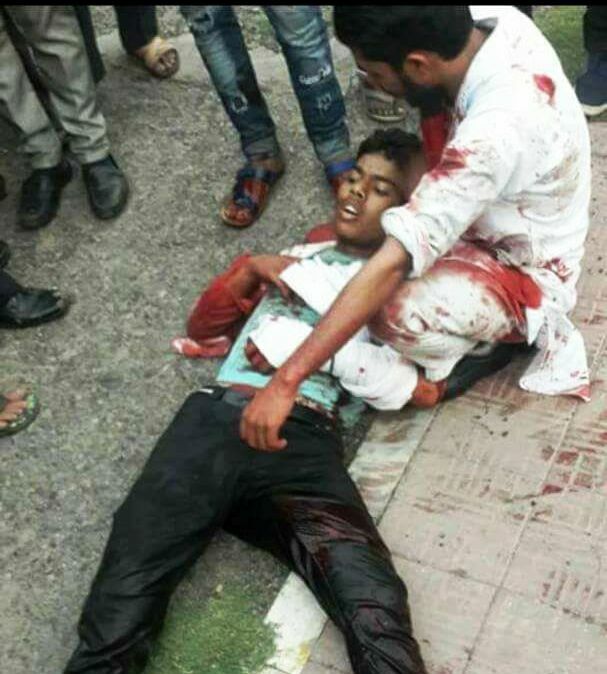 The lynching of police officer in kashmir or young boy Junaid at Railway platform shows how our political class is allowing this and our police and administration has become communalised. It is dangerous and need to be stopped at all level. You are defeating India, killing its soul for your political purposes. India can never become a Hindu Rastra or Muslim Rastra or Christian Rastra as people have settled here for centuries and most of the current generations of people are born here and have more than 10 to 12 generations when the idea of nation state had not even emerged. India need to remain a constitutional democracy respecting what our constitutional forefathers gave us. Even when its governance structure is changing, relationship between people will remain. None will gain through killing others. You can not divide people living together for generations. We hope ultimately people will wake up and understand the dangers that we are facing. Participate in all the spaces whenever possible. Support all the initiative which people are taking. If unable to participate, spread the words, promote ideas, share ideas, dont push the like or forward button, engage in decent discussion. Those who dont have the capacity to reason actually try to bully but they will never succeed. The world is watching us. Economic conditions are worst and social chaos will only hurt further. It is our duty to protect our nation. We need new political thoughts and action plan to combat such hate mongering and loot of our national resources. Unless our political parties develop unambiguous pro-people secular democratic socialist agenda, we dont think any hope. A national alliance for reconciliation and national Unity is what the country need desperately today. Let us celebrate diversity and promote it. Again thanking you again for your kind words and good wishes. I will do what I am doing, will continue to speak, participate and promote idea of social justice, secularism, humanism and human rights. India has too many people and too much poverty, ultimately people are killing one another over access to resources–beef, or anything else is just an excuse for violence.